Alex Kouts (@akouts) is a teacher, adventure technologist, Chief Product Officer of Countable, and — as you’ll soon discover — quite savvy in negotiation. This is part one of a three-part series. Make sure to check out parts two and three! How to negotiate for anything — from your salary to a new mattress. How the relation between progress and pain works. 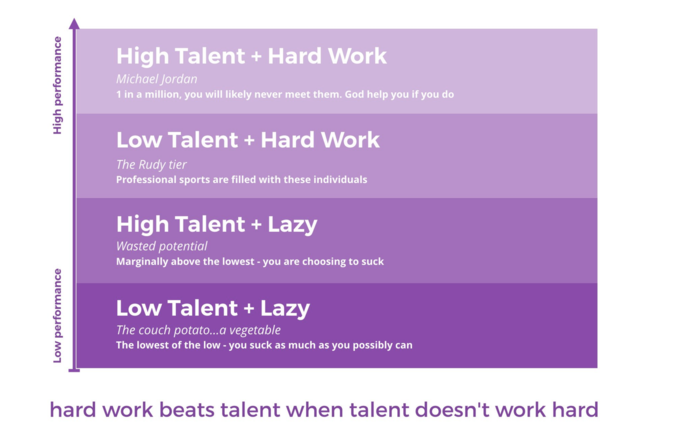 Why no talent + hard work will always beat talent + no work. Is Google stalking to prepare for an interview or negotiation a good thing? How many “no” answers can you get in five days — and what could this possibly teach you about negotiation? This is part one of a three-part series. Make sure to check out parts two and three! This is one of the reasons that Alex Kouts doesn’t believe in teaching negotiation with books. A lot of people go into negotiations thinking they have to be pushy or play games — like purposely being late to meetings — in order to assert their dominance and play from a place of perceived power. Such tactics might work to a limited degree, but Alex believes they come from a misguided perspective. “On a point-to-point basis or individual case, if you walk in and [think], ‘I’m going to kill! I’m going to win! I’m going to intimidate the other side! I’m going to get all the things I want! '” says Alex. “You can do it decently because you’re able to get over that first hurdle — being able to ask for things because you’ve already decided you’re going to — that’s really the only benefit you get from that mindset in my opinion. 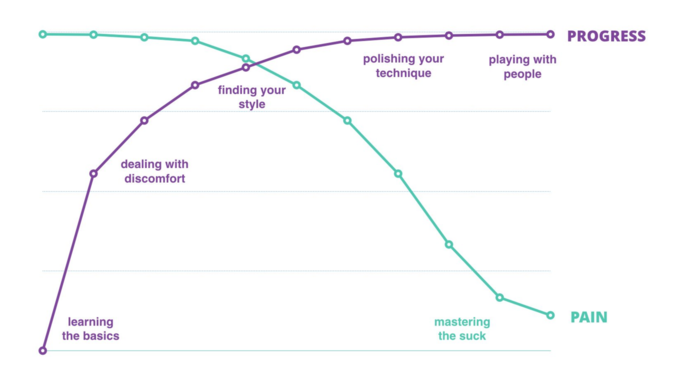 As you start to learn a skill, you’re going to endure a lot of pain — but you’re also going to make rapid strides in progress because you’re starting from zero. At the point when your levels of progress and pain intersect, you’ll enter the point of true mastery (playing the piano, understanding the role of the DH in baseball, speaking Serbian, etc.) where progress slows and plateaus — but you’ll suffer less and less for it. To get to that point, you’ll pay your dues; how much pain are you willing to eat? 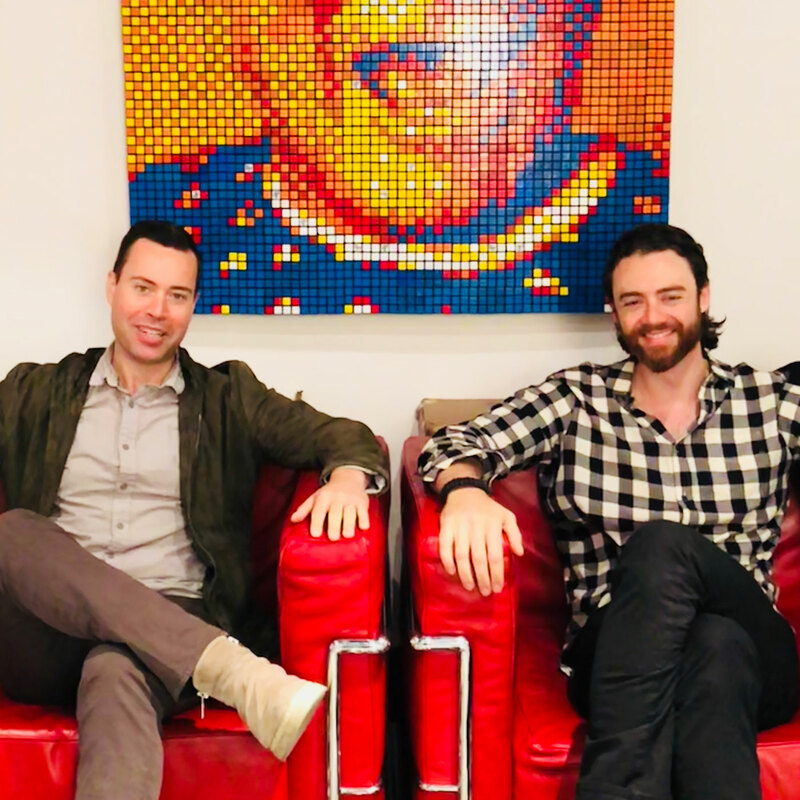 “If you’re learning negotiations today,” says Alex, “if you kind of embark on your journey getting better at this stuff…as fast as you will ever get because you’re learning the basics and you’re beginning to deal with discomfort. Eventually if you keep going that curve begins to flatten off as it reaches the top; you’re finding your style; you’re polishing your technique. “Another way that Ira Glass put this was that at the beginning of learning any skill, there’s where your taste is, which is really high up. And where your actual physical ability to execute is really low. And the distance between those two things is just pure pain! That’s what it is learning anything. Negotiation is the same. At the beginning you’re progressing really fast, but your pain is as high as it will ever be. Over time as you do things more, your pain will level out. It will go down, and it…will never quite hit the zero axis, never quite go away, because no matter how much you do stuff — with negotiations — you’re always testing the social fabric when you ask for things that you want. Listen to this show in its entirety to learn more about how negotiation figures into the social contract, how the Rudy Chart illustrates that no talent paired with hard work will always beat talent paired with no work, how the conflict averse can start to overcome their fear of negotiation and learn to ask for what they want, the difference just one salary negotiation over the course of a long career at one company can make, the pros and cons of rationalization, what the first offer always means (and Alex’s secret sauce for dealing with it), the importance of empathy in negotiation, the power of preparation before going into a negotiation, what a BATNA is and how it can help you understand your options, how social cost is exploited in negotiations and what we can do to defend against it, how information asymmetry works, the power of no, and lots more.